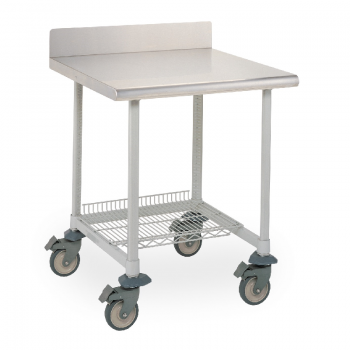 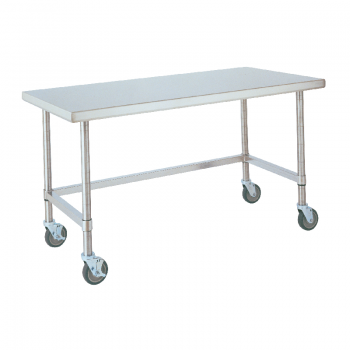 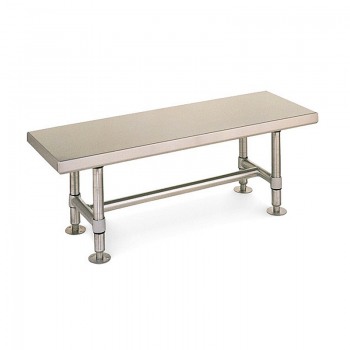 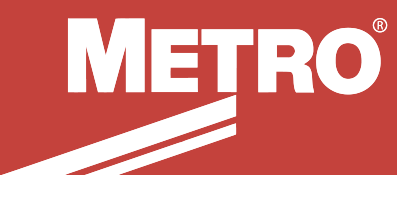 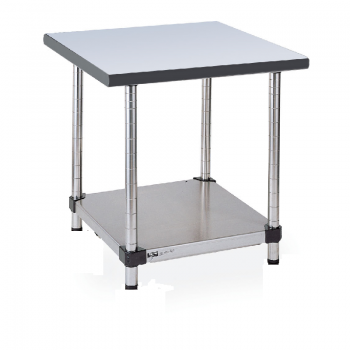 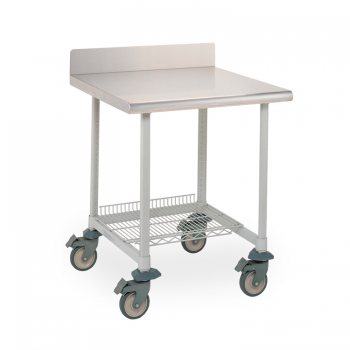 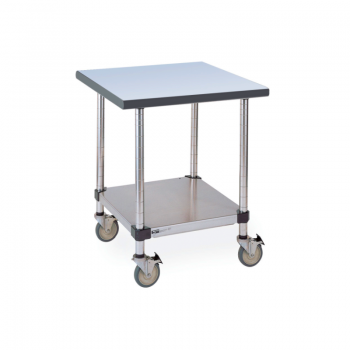 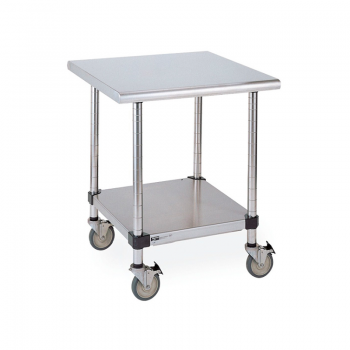 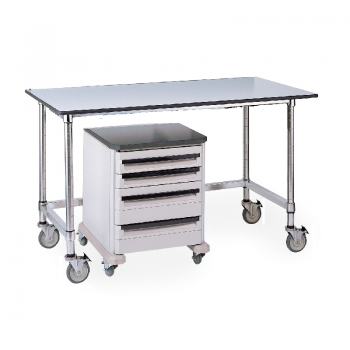 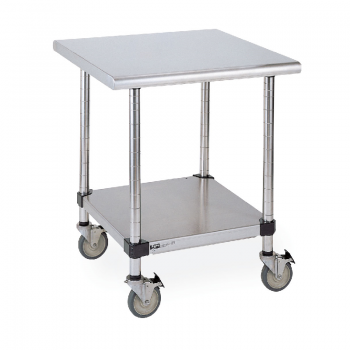 Solid stainless steel metal table units that last a lifetime. 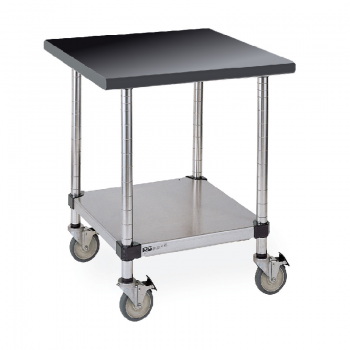 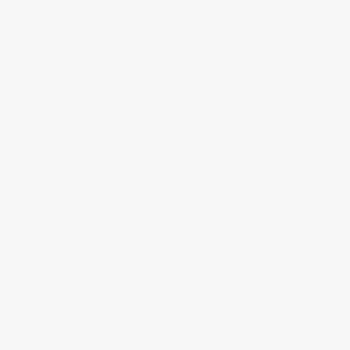 Easy to assemble, durable. 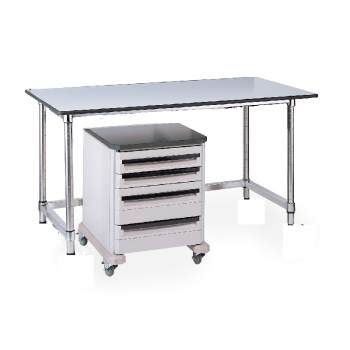 2 shelves stationary Solid Work Station/ shelving unit, Stainless steel. 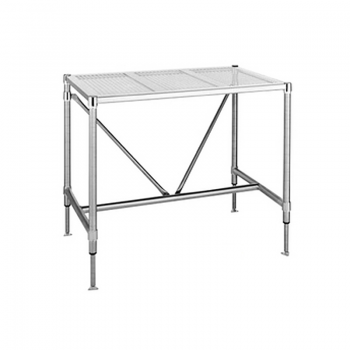 Super Erecta, Washable and autoclavable. 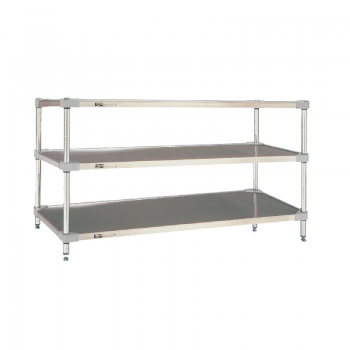 3 shelves stationary Solid Work Station/ shelving unit, Stainless steel. 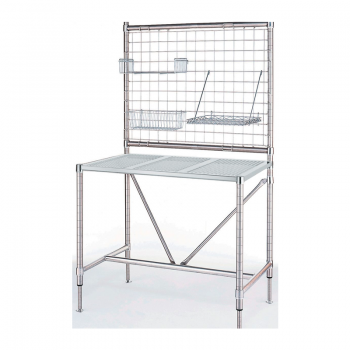 Super Erecta, Washable and autoclavable.